The Feminine Sixth: Women for the Defense probes the non-fictional accounts of women criminal defense lawyers. Set at a fictional symposium held during Women’s History Month, nine accomplished lawyers reveal the unique ways in which they experience criminal defense practice, the courtroom, and their relationships with clients. With detailed insight into their personal and professional lives, this book illuminates the vital role and immense contributions of women in the profession. Each page invites the reader to travel through moments of justice and injustice, sorrow and joy, and failure and success. The Feminine Sixth: Women for the Defense offers an intimate story of those who tirelessly represent people accused of crime. 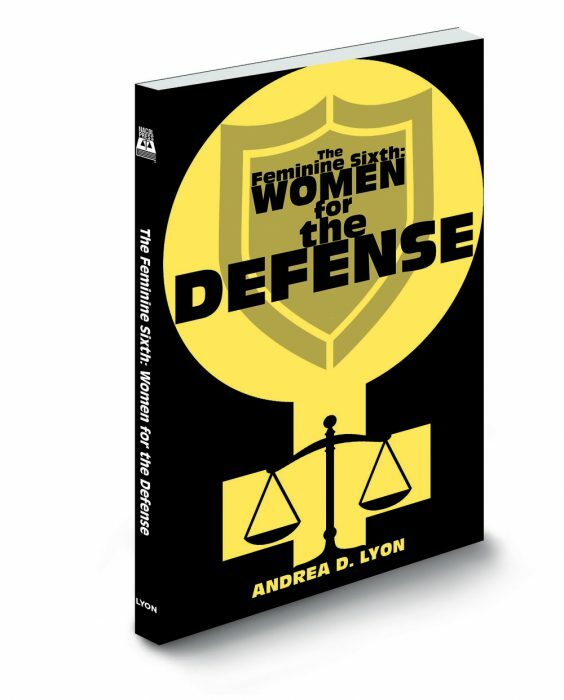 The Feminine Sixth: Women for the Defense is published by NACDL Press, the publishing unit of the National Association of Criminal Defense Lawyers.